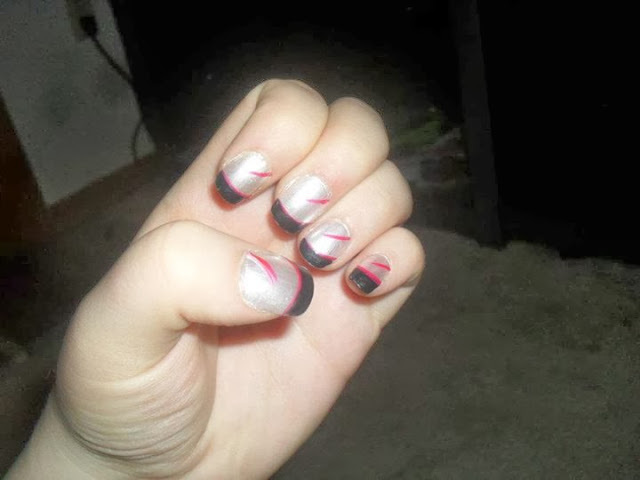 Artificial nails with white shimmer polish, black/red tips, and red stripe details. 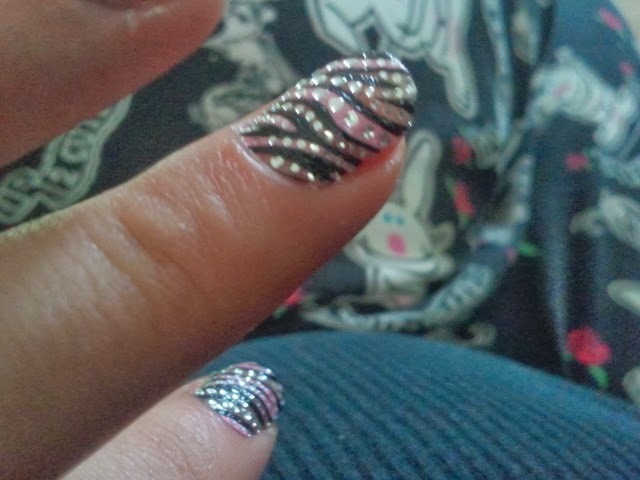 I'm a nail polish feign. I could literally spend an hour in the store just checking out all of the different colors and brands of nail polish, and I could easily spend $50 in one trip. As a matter of fact, my husband (who is entirely aware of my obsession) once went out and spent $60 on nail polish alone for my birthday. 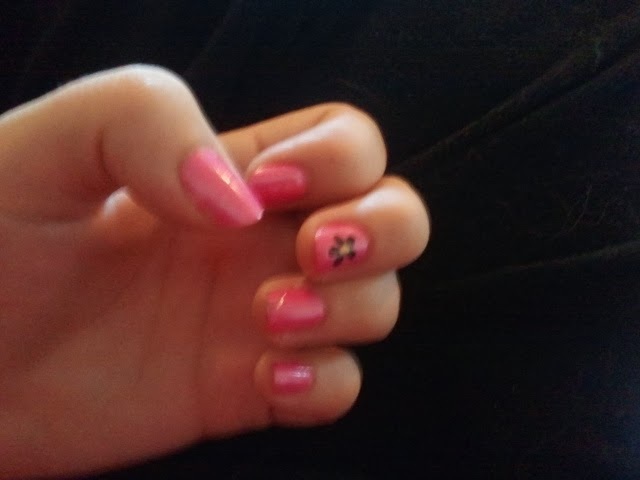 Natural nails with pink polish and a cute flower detail. Clearly, I married a winner. Today, I'd like to share with you a bit of my past nail art. Hopefully it will inspire you to create some fancy designs on your nails. 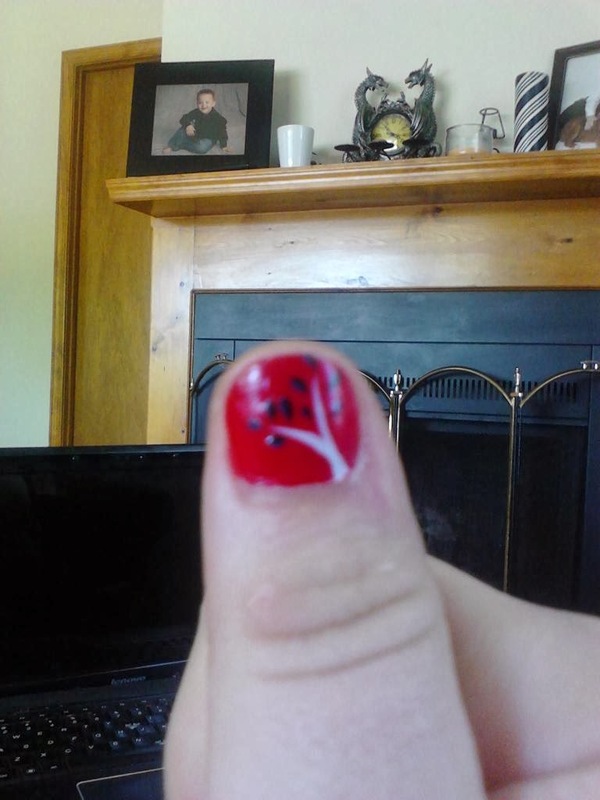 Natural nails with red polish and a white/black tree detail. 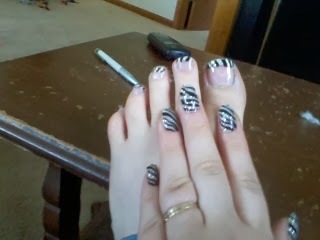 Natural nails with Kiss Stick-On Strips. 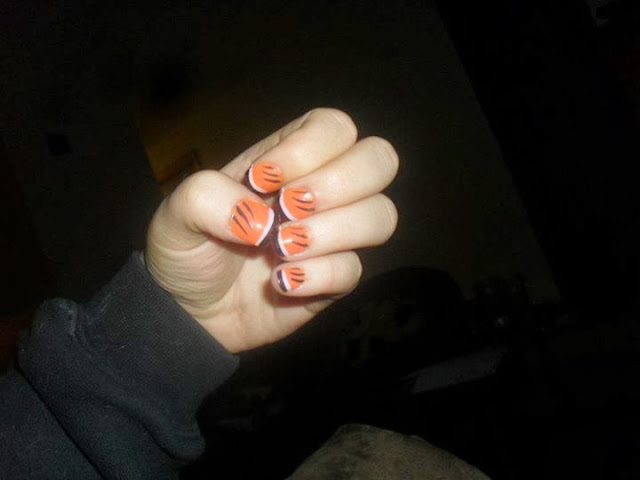 Artificial nails with Bengals design. 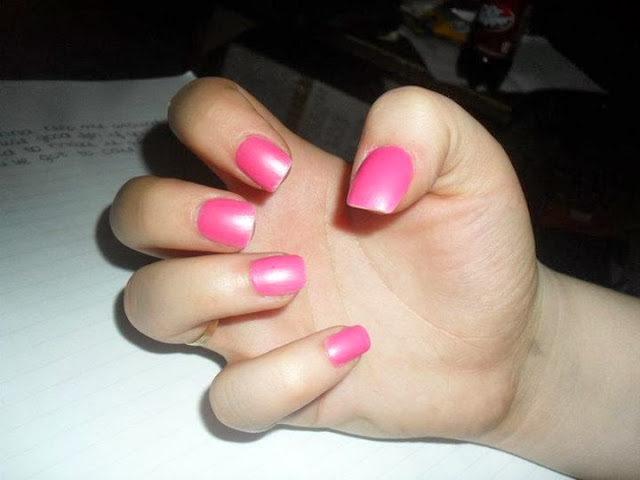 Artificial nails with pink polish. I do all of my designs by hand. My favorite nail polish brand is currently Pure Ice, because they're inexpensive, long-lasting, rich colors that don't peel like other less expensive brands. What's your favorite brand of nail polish?